When was the last time you took a real day off? After getting back from a hen do a couple of weeks ago, knackered after a fairly horrific coach journey that consisted of a small child screaming next to my ear for the best part of 3 hours, I couldn’t have been happier that I’d booked the next day off work. Not to meet up with anyone, not to do anything, but just to be. How often do we use all our holiday days on going somewhere or doing x, y, z? We talk about “wasting” holiday days when we use them without plans. But can I suggest that a day off without plans is in fact completely blissful, and perhaps even necessary? After sleeping in, I strolled to the shops and picked up a prescription from the chemist. This might not sound blissful, but given that my chemist’s opening hours are basically the same as my working hours, getting hold of my prescription in time every month can be STRESSFUL. I then mooched down to the charity shop to drop off some old jewellery (finally ticking that clear out off) and next to my favourite local coffee shop. 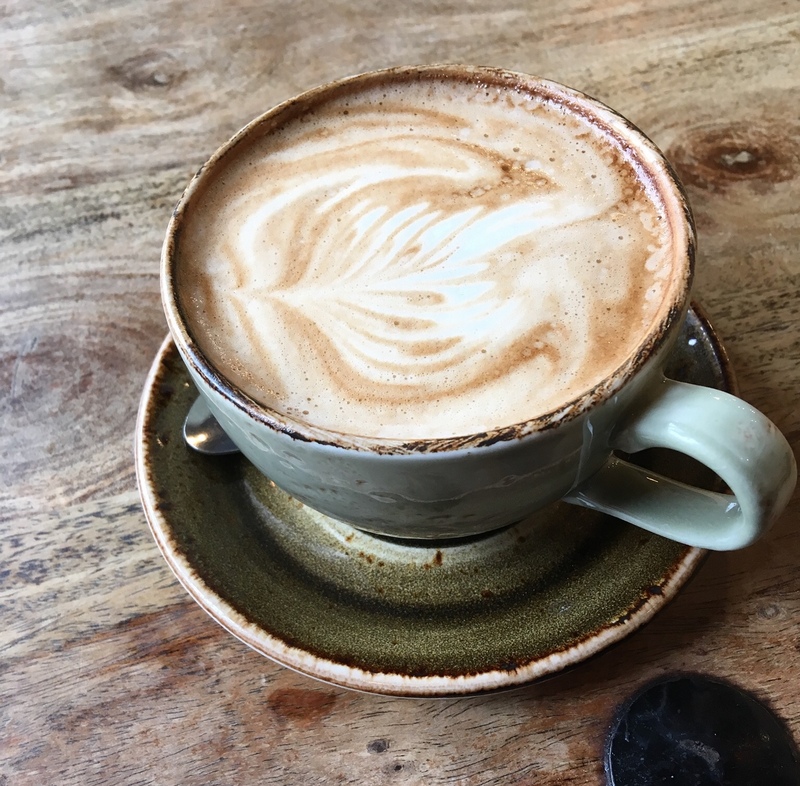 As I sat down to a mocha in a squishy leather sofa, I got the kind of contented feeling that sometimes takes a few glasses of fizz on a Friday night. This time there wasn’t a drop of wine to speak of, just the feeling of space and time and room to breathe. Hours to spend how I wanted to spend them, without any expectation or pressure. How often do we do this? Not on a usual weekend I don’t think. Hardly ever on a day we’ve especially taken off work. And I’m including myself in this – I’m as guilty as the next person of trying to cram everything in and “do it all”. But just like I’m realising that sometimes we need to say no to plans, I’m realising that sometimes we need to pro-actively carve out space for the resting, too. I know not everyone is employed with a steady annual leave package to use when and how they please – it’s a lot harder I realise if you’re self-employed and time off feels like losing money. And I know for parents, “me time” might seem like a long lost memory. And of course, lots of plans in life really do require our free time – I love a trip away or a weekend with friends as much as the next person! But if we can reclaim any time at all, whether it’s alone or with those we live with, to not travel far or make plans, but to just be – I reckon we should take it.